Today’s assignment: Explore one or more social networks, and start an account so you can being exploring the possibilities. If you’re already active on a social network, set up Publicize and link the account to your blog, and/or create a strategy for how you’ll use it. Today’s challenge is to explore and add a social network. Or connect to them using Publicize. Well I’m already on most of the social networks and have them connected via Publicize. I’ve even have a gentlemint, which is similar to Pinterest. I’ve had users pin my work on Pinterest. But I’ve not really gotten into it yet. Even though Facebook is the big social network, I get the smallest feedback from it. Tumblr seems to drive more people to my projects. Who uses Pinterest? how’s the community there? Here are my current social sites. Robot Tober Day Eightteen the lost post! It’s still Robottober. 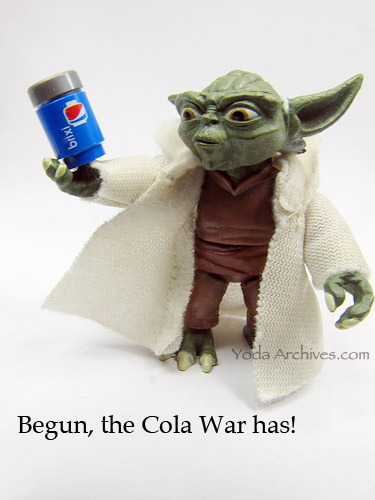 Today’s post is a Yoda Archives classic, meaning it appeared on this blog back in 2011. It’s Gaiking from the Shogun Warriors. 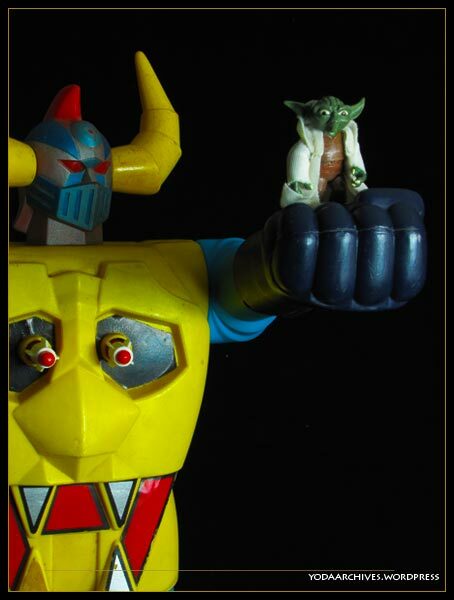 Yoda finds a new weapon to fight the droid army, Gaiking. Why is it the lost post? I posted it late on the 18th. But just found it in my drafts meaning it has not been posted to the blog but. It showed up on my social media site which are connected to the wordpress blog. I use Publish to send post to Twitter, Tumblr, and Facebook. The pic is there but it wasn’t posted here. October 20, 2013 | Categories: Action Figures, Photography | Tags: (CW14), giant robot, humor, kaiju, pacfic rim, robot tober, robots, shogun warriors | Comments Off on Robot Tober Day Eightteen the lost post! March 4 is GM’s day, so I’ll reblog one of my older action figure comics. Elkhorn’s character fails his saving throw. 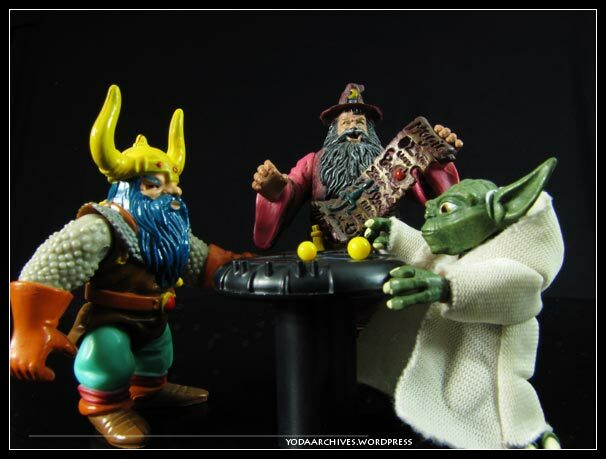 Used in these photos Yoda (cw14), Elkhorn the good dwarf (AD&D), Game table from Millenium Falcon. Today is the anniversary of airing of the first airing Transformers cartoon. The Transformers first aired in 1984. This past weekend I found the new Transformers KRE-O mini-fig blind bags. They are called Miro-Changers and have 2 modes robot and beast or vehicle. Only six figs in this preview series. I bought a couple but haven’t had time to photograph them. I’ll have images later in the week. 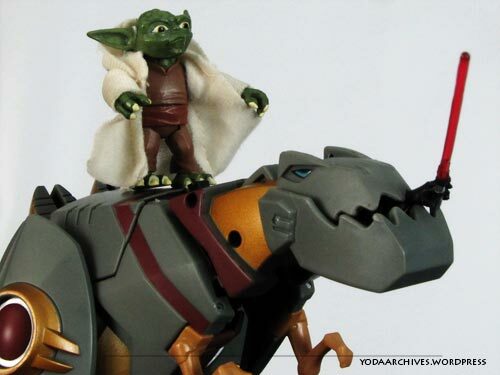 Since it’s an anniversary here’s one of my earlier Yoda Archive pics featuring Grimlock. 1) It’s time to renew my domain if you could put in a couple bucks by clicking the donation button, I’d appreciate it. Please choose the gift option so paypal doesn’t take out transaction fees. 2) I’m about to order businesses cards for the site. I’m using Moo Cards which allow for the use of several images in one order. Please thumb through the site and tell me some of your favorite posts to help me decide what to print. I’m going to use 4 or 5 for the cards. I’m using responses from here and the facebook page plus reactions at shows to help me pick which photos to use. 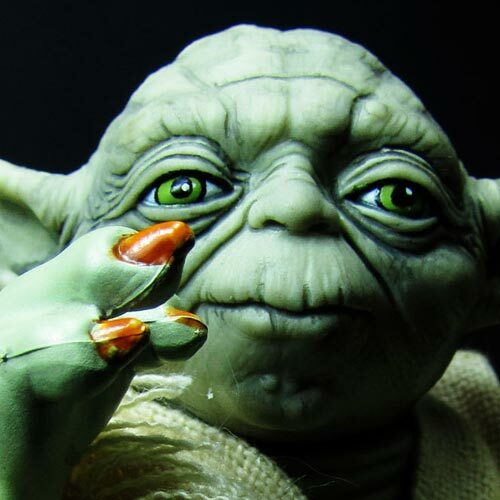 and New Yoda pic posting in an hour. Valentines is coming next month. 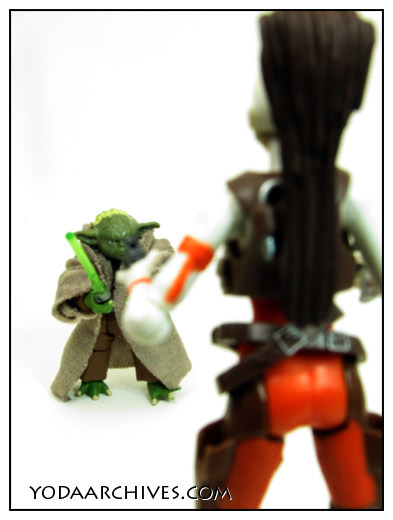 Get the geek in your life our Yoda Valentines card. This year LEGO has released a Star Wars Advent calendar. The Calendar has 206 pieces. Each day there is a new mini ship or mini figure. 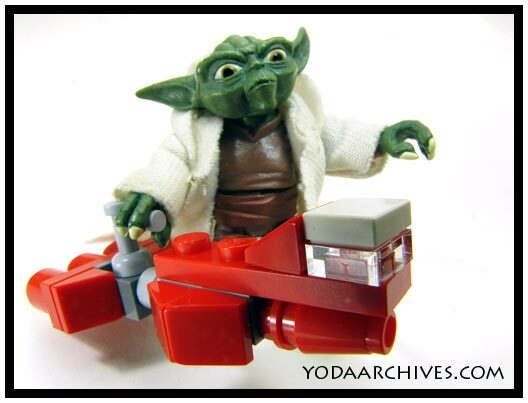 There’s even an exculsive Santa Yoda. December 1 is the Radiant VII. first ship we ever see in Star Wars, the Tantive IV. The set retails for 39.99 at Target, lego.com, and walmart. Toys r us has it for 49.99. It is on sale at target for 37.99 this week. I plan to post each day and will post pics of the box art as well. Star Wars Lego.com Lego store has it listed as sold out. 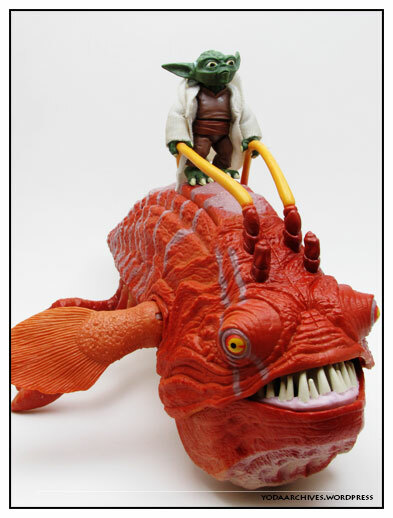 Yoda caught an Opee sea killer. 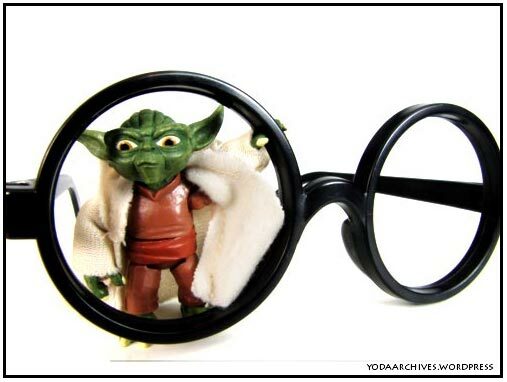 Lost your glasses, you have. 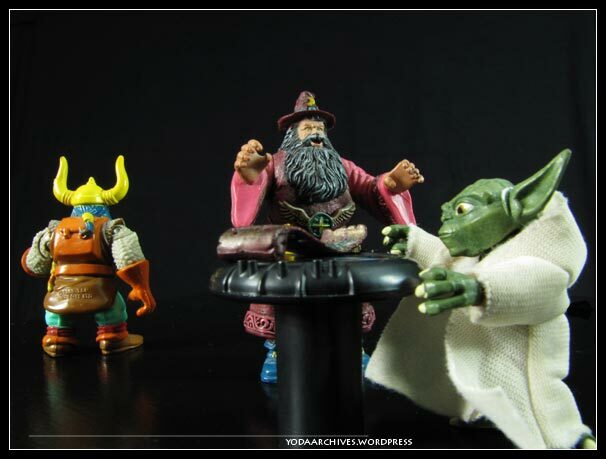 July 25, 2011 | Categories: Action Figures, Yoda | Tags: (CW14), Harry Potter | Comments Off on Lost your glasses, you have.